..if you click on Microsoft’s FixIt here: http://support.microsoft.com/kb/306560 (’nuff said elsewhere about US International keyboard layout) . Our British Friends seem to still type French, German, and Spanish accents the old tedious way. Maybe they find it too difficult to install the MS UK-International keyboard layout which takes care of most accents in all languages that use a Roman alphabet. 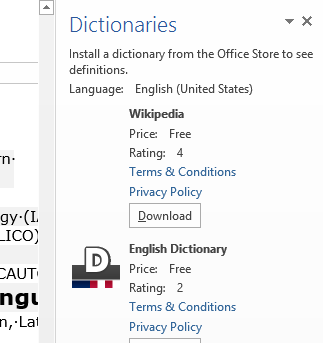 I wish I could recommend them also a Microsoft FixIt installer which automatically enables the UK "international" keyboard layout option built-in to Windows. However, the FixIt version automated enablement seems only available for US International, not for UK international. If you want US International without manually configuring it (interactive video) , take advantage of MS FixIt by clicking here. How to type accented characters with US International keyboard – the ultimate training summary…. …using animated GIFs. Slower? Click 025sec,0.5sec, 0.75sec, 1sec, 1.5sec, 2sec, 3sec, 4sec, 5sec, 6sec, 7sec, 8sec, 9sec, 10sec. Or how do you like this one? . Update: Just click on the menu item “ A” under Respondus titlebar window to bring the floating accents window back. Problem is only: this menu disappears now also. Anyhow: using below keyboard shortcuts is faster, and MS FixIT can now enable it for you on your home or office PC also. Respondus Lockdown browser limits the use of modifier keys (e.g. on Windows CTRL, ALT). This prevents the use of certain traditional keyboard shortcuts for entering foreign language accented characters – including the method from times yore: ALT+number code. Respondus Lockdown browser can work with a floating toolbar for accented characters. Unfortunately, reports are in that the floating toolbar disappears (may be related to a recent Respondus upgrade?). Fortunately, Windows US-international keyboard – the default in the LRC – is not as much hampered by Respondus – except in t he few cases where US-international keyboard also relies on ALT- and CTRL-modifier: consult this table.